Combine the roasted peppers, garlic, shallot, Chipotle Chili, parsley, olive oil, vinegar, sea salt, and black pepper. Process all the ingredients in a food processor until smooth. Adjust the seasoning if necessary. 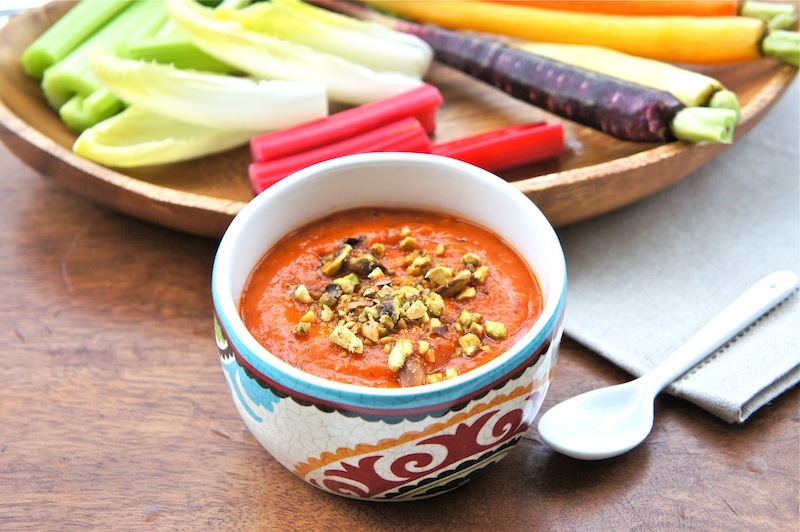 Top the roasted pepper dip with crushed pistachio and serve with your favorite vegetables or crackers. This would make a really tasty and healthy lunch. I love the bright red of the dip. 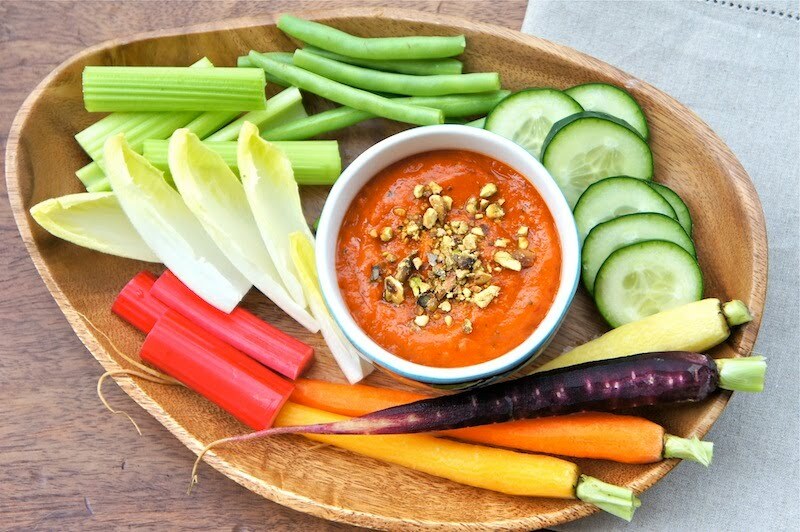 I adore dips... the pepper flavor of this one would be just perfect for a nice plate of veggies! Ooh, this looks really good! I always lean towards almonds when I work with worth roasted red peppers. I'll have to give pistachios a try next time. @Kim - Liv Life: Thanks. @Molly: Almonds sound good to me too. Thanks for the suggestion.